RENT A HIGH-PERFORMANCE ROAD BIKE FOR THE MS SYDNEY TO THE GONG. Ride the MS Sydney to the Gong in style in 2018 with a high-performance Italian road bike from Livelo. Livelo is offering early-bird entrants a great deal on an MS Sydney to the Gong premium road bike rental. Rent a beautiful Bianchi Infinito CV road bike for the weekend of the MS Gong Ride + any weekend in the lead up the MS Gong Ride. Livelo will include a bike fitting and instructions to ensure your ride is, enjoyable, comfortable and safe. The price of this offer is usually $450. The lucky first ten bookings will receive this package for $350. Click here to book or find out more about the Special Offer Package. 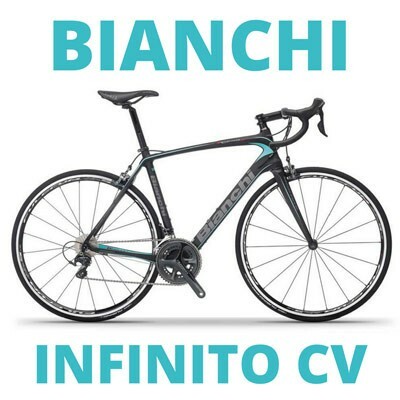 Collect your Bianchi Infinito CV on the Friday 2 November and return in on Monday the 5th. Priced at $240, your rental includes your choice of pedals, a high-quality helmet, lights and saddle bag containing spare tube, lever, Co2 and a multitool. Click here to book or find out more about the Event Weekend Package.